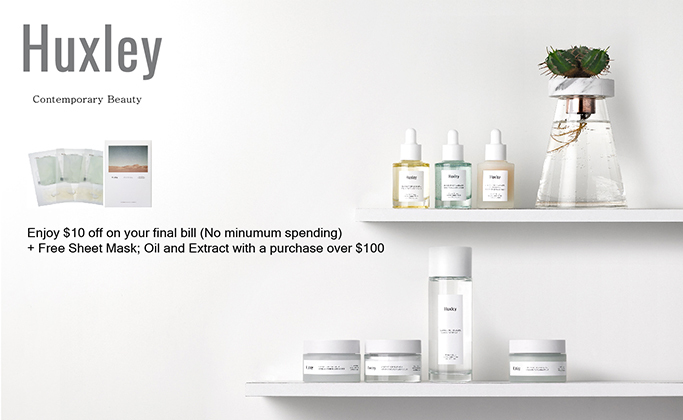 Enjoy $10 off with every purchase for your online shopping at official Huxley store. Receive a complimentary Mask; Oil and Extract with nett purchase over $100. This offer is only valid for your online shopping at huxley.sg. Use the promo code TCL10OFF upon check out. Cannot be combined with any other discount code or vouchers. Offer cannot be transferred, exchanged for cash or refunded.